my right hand, I shall not fall. How powerful that in the first sermon preached by the disciples/apostles after Jesus’ resurrection, Peter quotes the above verses of this psalm. He understood these words as giving voice to the Lord who — though he had been arrested, tortured and crucified — kept the will of God the Father always before him, finally being resurrected, with gladness and rejoicing, for the Father did not abandon the Son to the grave but raised him up on the third day! Martin Luther declares that this psalm is a prophecy of the suffering and resurrection of Christ! In the same way it is a prophecy of our death and resurrection, as well! We keep the Lord always before us, because with him at our right hand, we shall not fall. Even in death, our heart is glad and our spirit rejoices — in death, our body rests in the hope of the resurrection! He does not abandon us to the grave, but shows us the path of life, so that in his presence, now and eternally, there is fullness of joy and pleasures for evermore! These are deep, heavy thoughts the day before Christmas Eve. The last thing we may be contemplating today is our own mortality and the reality that one day we will die. And yet, this is our hope! This is our confidence! Yes, this is why God became human — that when faced with our own suffering and death, we would see only a gateway, a transition. For we who have been baptized into his death have also been baptized into his life. “We were therefore buried with him by baptism into his death, so that as Christ was raised from the dead by the glory of the Father, we too might walk in newness of life.” (Romans 6:3-4) This is the good news of great joy proclaimed by the angel host — not just that a child is born, but that this babe will be the Savior, Christ the Lord! 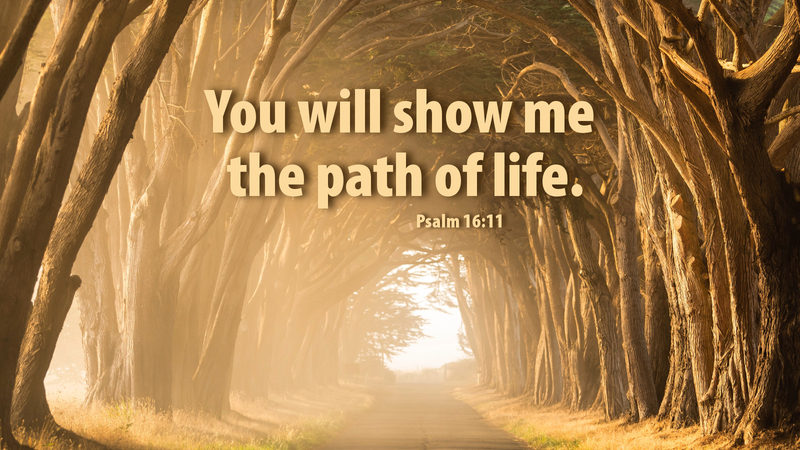 Prayer: Thank you, Lord, for showing me the path of life and giving me fullness of joy! Amen. Advent Action: Read Peter’s sermon, the response of the converts and the description of life among the believers (Acts 2).